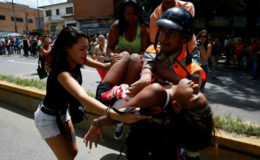 CARACAS, (Reuters) – A young woman faints in the heat as hundreds fight for pasta, screaming they are hungry. Slum-dwellers and armed gangs wait for nightfall to hijack food trucks or ransack stores. A mother is shot dead fleeing police after hundreds storm warehouses. Despite hours in lines, Venezuelans increasingly find that coveted supplies of subsidized flour and rice run out before they can buy them. Many are skipping meals, getting by on mangoes stripped from trees – or taking matters into their own hands. On a recent morning in the rundown, garbage-strewn Caracas district of El Valle, some 200 people pushed up against police guarding a supermarket as they chanted, “We want food!” and “Loot it!” A few at the front were allowed in for two bags of pasta each. “We’re not eating. People are desperate for a looting,” said mother-of-three Miza Colmenares, 55, who had spent the night in line and not eaten since the previous day when she had eggs for breakfast. Supermarkets have become flashpoints across Venezuela, one of the world’s most violent countries. 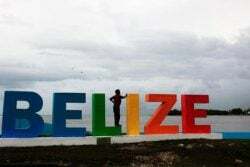 More than 10 lootings occur every day now, according to the Venezue-lan Observatory of Violence, and are increasing in the usually more insulated capital. Venezuela’s angry streets are arguably a bigger threat for Maduro than the political opposition, which is pushing to remove him via a recall referendum this year. One recent food protest came within blocks of the Miraflores presidential palace. 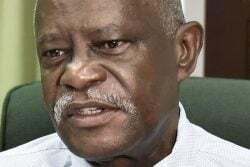 It is a remarkable turnaround for a government which prided itself on social welfare programmes such as Cuban-staffed medical posts and subsidized supermarkets. 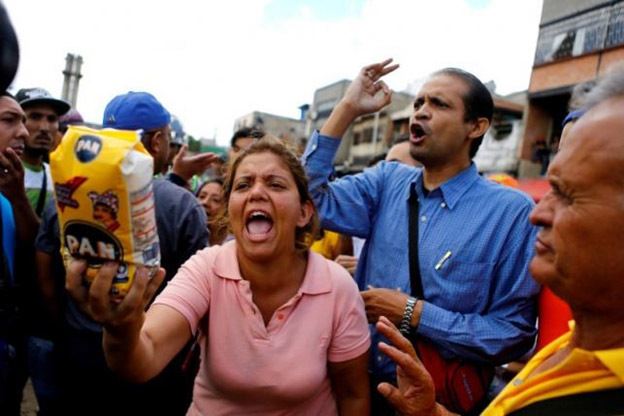 It won elections time-and-time again thanks to devoted support from Venezuela’s poor. 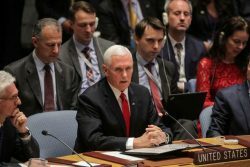 But with their beloved former president, Hugo Chavez, dead for three years and the economy deteriorating rapidly, many former “Chavistas” have turned on Maduro. 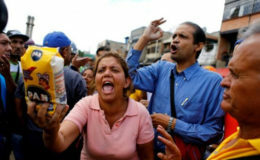 “Behind all this is the president, the rat in his palace, eating riches while we fight to buy pasta,” said homemaker Maria Perez, 31, once a Chavez supporter, at the El Valle supermarket. When Socialist Party community organizer Pedro Gonzalez, 58, told a Reuters reporter the unrest at El Valle was “orchestrated by the country’s opposition,” he was chased away by angry bystanders. The opposition says the government’s distorted currency controls and crumbling state-led economic system are to blame. For months now, groups have ransacked delivery trucks that crash or suffer flat tires. But in recent weeks, there has been an increase in frustrated shoppers storming supermarkets after food runs out as well as cases of communities or armed gangs organizing lootings, sometimes reportedly to re-sell the goods. “If you have a son who says, ‘Mommy I want my bottle,’ and you don’t have milk to give him, in a moment like that you don’t think of anything else and you grab everything you can for your family,” said one woman, asking to remain anonymous to avoid compromising her job. “They waited for nightfall, watched me get on the bus … and some 70 people came up, hooded and armed,” said the store owner, who asked to remain anonymous for fear of retaliation. Much of Caracas’ Petare slum, one of Latin America’s largest, was a ghost town one recent morning after a night of lootings and food protests that spooked shop owners from opening. Authorities said one person was shot dead during the melees. With imports shrinking and local production ailing, Venezuelans fear lootings will only increase. On a recent day in affluent eastern Caracas, dozens waiting outside a supermarket started shouting that they be sold two packs of pasta instead of one. Managers briefly closed up, demanded the crowd calm down, and re-opened 10 minutes later – caving in to shoppers’ demands for fear of unrest.